Medical meetings have been enjoying great success of late, according to the Healthcare Convention & Exhibitors Association. 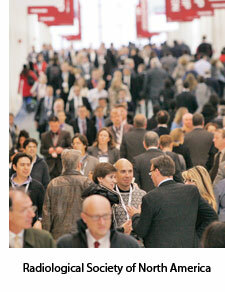 In ranking the largest medical meetings of 2010, the Atlanta-based group found the average total attendance of the top 50 shows was nearly 20,000 (19,512), a 5.1 percent increase over the year before. The average number of medical professionals attending each of these shows was 13,227, a 7.2 percent year-over-year jump. The question is: In the face of prolonged economic uncertainty and increasingly complex regulations surrounding health-care professionals, why do so many large medical events forge on with such success? The reasons are ripe with lessons that can apply to all meetings. Be consistent "In a word, it's continuity," says Steve Drew, the assistant executive director of scientific assembly and informatics for the Radiological Society of North America, when asked why his medical meeting is thriving. "That's one of the main ingredients here," he adds. Indeed, the meetings department at the Oak Brook, Ill.-based RSNA reports to Drew, who has been at the society for 23 years and counting. "We have similar kinds of longevity among employees across the meetings department and throughout the organization," Drew explains. "Being able to maintain a good, cohesive team ensures the continuity from year to year. We could build on what was the best from last year and improve on things that maybe didn't work as well as we would have liked." The RSNA's 2010 Annual Meeting ranked second on HCEA's list, having drawn more than 58,000 attendees to the McCormick Convention Center. Attendance at the 2011 meeting, held at the same venue from Nov. 27 to Dec. 2, grew by nearly 2 percent, to 59,097, and the number of radiologists in the house was a record-setting 16,272. The notion of continuity applies as well to the RSNA's volunteer board of medical professionals. Board members sign up for an eight-year commitment, Drew notes, which affords them plenty of time to familiarize themselves with the scientific-assembly content for the gatherings before transitioning to a broader leadership role within the organization (with greater oversight for the meetings).